The costs of producing electricity using photovoltaic technology have been reduced by 80% in recent years. 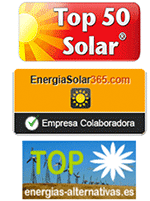 "In four or five years could enter the grid 30,000 megawatts at spot price if they received the approval of the operator Red Electrica" ​​says the Director of Photovoltaic Association, Mr. Jose Donoso. By now, more than twenty German and Spanish companies have applied for a connection point. REE's response is that it is preparing a new energy planning. "Faced with a market crisis that constantly causes permanent increases in the prices of gas or oil, photovoltaic plants allow endogenous seize power," argues Jose Donoso, director of UNEF. As highlighted Donoso, we live in a world in which photovoltaics claims its site. PV is also interested in exploiting the sector of hotels and office buildings, where consumption could compete on price with conventional electricity. But the electricity reform prevents consumption by establishing a solar energy toll for connecting to the grid. This decree, which is not yet approved, has paralyzed all investments because of the legal uncertainty that caused the new energy legislation, placing our country with a regulatory risk such as Venezuela or Argentina for international investors. The reform cuts in income of already installed PV systems rise between 20% to 47%, which will mean that many solar kits systems are to bankruptcy. Plants have contracted debts amounting to 22,000 million euros and will need a waiver of banking 20% ​​to repay loans over the life of the installation, consider Donoso. Many countries like Japan, 43 US states, South America, Italy, Denmark, Holland, Brazil, Costa Rica, Mexico or Andorra opt for home consumption because it gives freedom to individuals and companies against oligopolies. In Spain we are still awaiting the approval of the RD of selfconsumption.